Paul brought the Gospel west. ON THIS DAY, 29 June 67, a Roman soldier beheaded the apostle Paul in Rome. * Preaching the Gospel of Christ Jesus, Paul did as much as any man to found the churches of the western Roman Empire. He was aware of his own influence. Writing to the Corinthian church, he summed up his own contribution to Christianity by saying, “For I am the least of the apostles, who am not fit to be called an apostle, because I persecuted the church of God. But by the grace of God I am what I am, and his grace toward me did not prove vain; but I labored even more than all of them, yet not I, but the grace of God with me.” As a testament to his work, the churches he labored among endured for centuries. 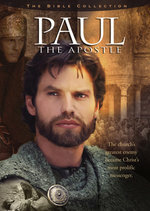 Paul was ideally equipped to be a great apostle in the west. As a Roman citizen, he could move freely throughout the entire Roman world. Brought up in a Greek area, he understood the Greek mindset. Finally, as a strict Pharisee, he had entree into the Jewish synagogues and temple and knew how to reason with his fellow-countrymen. When we first read of Paul in the Bible, he was a zealous Jew, a persecutor of those who followed “the way,” as the early Christians called their movement. After Christ blinded him with a vision on the road to Damascus—where he was headed to arrest Christians—his life turned around. To a Christian believer named Ananias, Jesus foretold that Paul would suffer much. This promise was fulfilled. Writing a dozen years before his execution, Paul enumerated a list of beatings, floggings, stonings, and shipwrecks. He had at least one more shipwreck and many years of prison ahead of him. Paul the Apostle will fill you in with more background on Paul. Paul pioneered missionary tactics that resulted in the explosive growth of the early church. In the end, he gave his life for the Savior he had proclaimed. His beheading was the culmination of a life “poured out as a drink offering” to the Lord Jesus Christ. * This date is according to the People’s Chronology. Scholars are disagreed as to date and have placed it anywhere between 62 and 67 A.D.